Three years ago I saw people unlocking bicycles using their smartphone and ride it and then lock it in a parking place. In no time someone else unlocked the bicycle and left the place. I was surprised to see this and very curious to know what’s going on. What are these bicycles and how people are unlocking it using smartphones and then just leaving at a random parking place? Out of curiosity, I asked my Chinese friend about this and I heard that these sharing bicycles. It was the first time, I heard this kind of business idea and found it interesting. After my friend helped me download the app of Mobike, I started using it and I started enjoying this app. As this is an emerging new business idea, I thought I should write an article on Sharing economy and also share my experiences with this sharing bicycles. In this article, I would give an overview of the sharing economy business, also specific to sharing bicycles market in China, major players, and how sharing bicycles work, advantages and disadvantages of this business to the society and an individual. Sharing economy is an economic system in which assets or services are shared between private individuals, either free or for a fee, typically by means of the Internet and mobile applications. Airbnb, Uber, Instcart are some of the pioneers in the sharing economy business. Nowadays the sharing economy extended to various other services like sharing parking space (Justpark), ridesharing (Sidecar), touring guide (Vayable), pets sitting (Dogvacay), reducing food waste (Leftover swap), Wifi sharing (Fon). Child care (Urbansitter), Labor & simple tasks (TaskRabbit), bicycle sharing (mobike, Ofo etc). 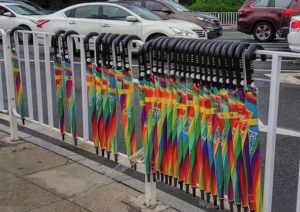 Interestingly there is an umbrella sharing business too. According to Juniper’s new research, Sharing Economy: Opportunities, Impacts & Disruptors 2017-2022, forecasts that the sharing economy will reach $40.2 billion in 2022, in terms of platform provider revenues, up from $18.6 billion in 2017. 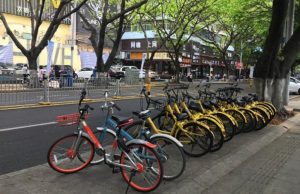 In this article, we will limit our discussion to bicycle sharing in China and India. We will talk more about the bicycle sharing companies, their operations, advantage and disadvantage of bicycle sharing in general. How bicycle sharing in China works? Users should download the mobile application of the respective company and connect their payment mode using WeChat or Alipay. It may also need a proper identity document for registration process and some deposit amount. 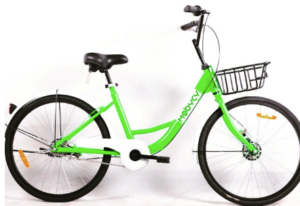 The bicycles have embedded GPS and generally have a QR code which needed to be scanned using Mobile application and then the lock will be opened automatically or with some other authentication depends on the company. Once the lock is open, the user can use the bicycle and must lock it after completion of the ride. The payment will be cut from user wallet based on their usage. Each company has its own tariff. 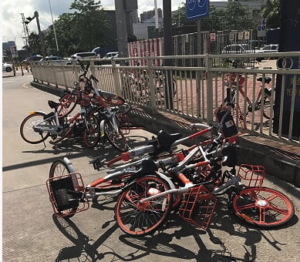 Based on an article in CNN, more than a 60 bicycle sharing companies were closed and around 10 companies are surviving currently. Mobike is the market leader in China and followed by Ofo. There are some other players named U-cycle, Funbike also operating here. As per The Economist, Ofo and Mobike, two startups that, taken together, have raised $2.2bn of capital and are valued at more than $4bn. 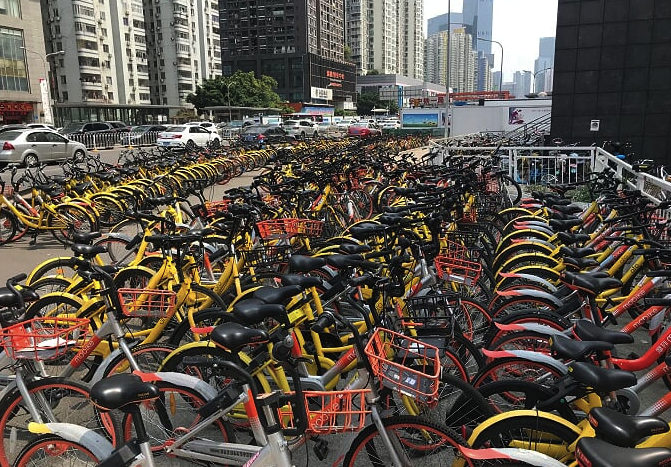 Each has between 7m and 10m bikes in China, averages 30m-35m rides a day and, having entered more than 100 Chinese cities, is expanding abroad. Average rental of bicycle starts from 0.5 RMB to 1 RMB based on the duration and the type of bicycle used. Most of the bicycle sharing companies are in losses nowadays. In November 2017, Bluegogo, once the third largest company has declared bankruptcy and shuttered operations after burning $119 million USD in funds. Didi ChuXing has bought a part of Bluegogo assets to step into bicycle sharing business. Even Mobike and Ofo also not earning any profits but are trying to popularise the sharing economy and market capitalization. Mobike gives short term and long term pass with a nominal pricing which gives the rider a free ride till 2 hours. Sharing bicycles are the best option for last mile transportation which reduces a lot of transport hassles as one need not drive their own vehicle till the connecting transport. The bicycle can be found anywhere near your locality and after reaching the destination, we can just lock and leave it there. Interestingly user doesn’t own it. Transportation cost would be cheaper than its petrol or gas counterparts. Using bicycle will ease the traffic congestion. Cycling is good for losing calories and using the sharing bicycle daily is recommended. City parking spaces are piled up with bicycles because the bicycles are not properly maintained. Users not parking the bicycles in stipulated places and always interfering with mainstream traffic. Though Mobike gives incentive points for parking in the bicycle parking areas. Bicycle theft is not uncommon and it impacts the companies operating. Though Mobike has a feature of sensing in locked condition the two wheels in the air, there will be alarm. As the parking of these bicycles is not controlled, regular maintenance is not an easy task for the companies. When someone parks wrongly in a private space, they are thrown into bushes. Despite the low profitability of this business, Chinese companies still hope for big in this business and operating the business. Nowadays India has seen a sharp growth in the bicycle sharing business. Bangalore based Namma cycle charging Rs.0 for the first half an hour, Rs.5 for the first half an hour and Rs.10 for two hours. Another player Mobycy, based in Gurgaon has spread to various cities in India charges Rs.5 for the first half an hour and Rs.10 for one hour. They also have some 30 days subscription models. Chinese bicycle sharing company Ofo also started its operation in Pune this year. Ola pedal, Zoomcar’s Pedl, Yulu also increasing their presence in Indian cities. Bicycle sharing is no doubt a booming business for India. However, the challenges ahead for cycle share in India will be the government investment for cycling infrastructure which will provide safety for cyclists. 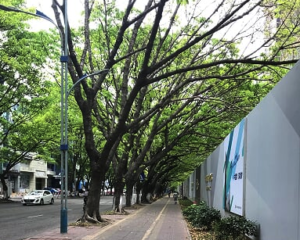 Government plays a major role in the growth of this business as cycling infrastructure like walking tracks, overhead bridges, parking spaces, zebra crossings at junctions are very important for the cycle riders safety which fuels the market growth. Personally, I used Mobike and Ofo bicycles in Shenzhen. I will share my experiences with Mobike in my next articles. ⟵See how PinYin makes Chinese language more logical and easier to learn!